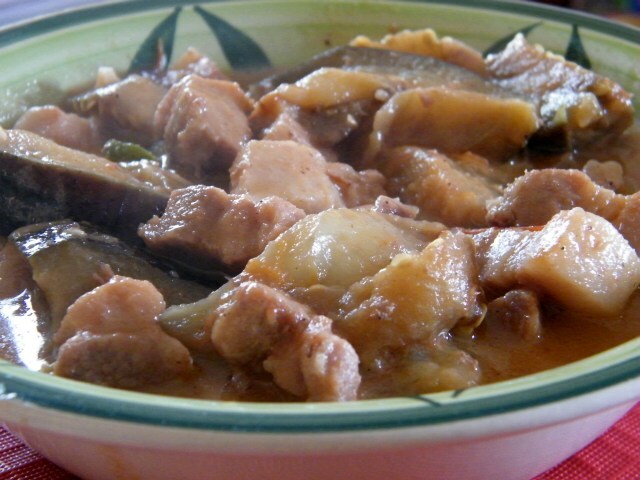 Pork Binagoongan is one of those wickedly delicious dishes that makes you wonder how a combination of pork (with fat) and fish paste can work, and yet it does! It obviously has a strong flavour thanks to the latter ingredient so I cannot imagine this being eaten without hot, steaming rice. 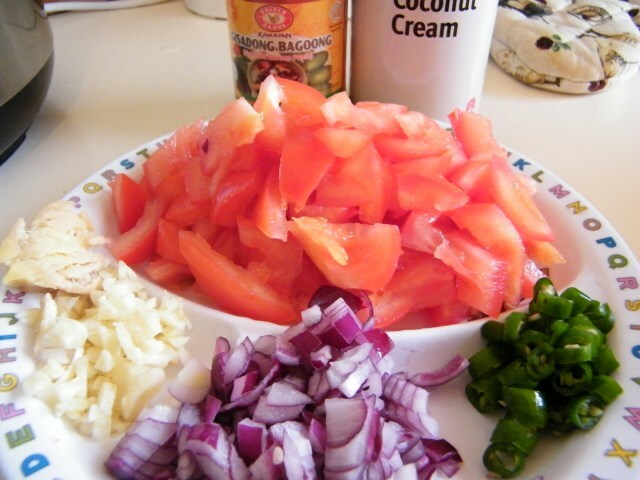 This recipe is made even special with the addition of coconut cream. My wife cooked this yesterday, intending to have a bit for lunch and then we will bring the rest over to a weekend gathering but we ate too much that not a lot was left to bring! 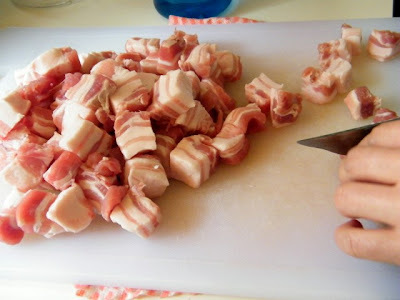 On a small pot over medium heat, place the pork and pour water sufficient to submerge the pork pieces. Cover and let simmer. When the water has nearly evaporated, Heat up the frying pan with cooking oil. Saute the garlic, onion then followed by the tomatoes. Stir about until tomatoes become soft. Add the pork bits and continue frying for about 10 minutes. Add the fish paste and continue mixing for a couple of minutes. Then add the eggplants, coconut cream, and the chilli peppers. Lower heat and cover to simmer until eggplant is tender (about 10 more minutes). Season with salt and pepper. this is one of my favorite dishes. yummy. Dyezebel: korek, napaparami sa kanin. Rissa: nakasanayan na namin in preparing pork this way for a lot of things, I guess.